What is Juvederm Volift Retouch? Manufactured by Allergan, Juvederm Volift Retouch was designed as a follow-up treatment to prior hyaluronic filler treatments. Now, practitioners are enabled to rework previous results, ensuring total perfection. Furthermore, its 0.55mL syringes allow patients to very minimally enhance their natural appearance—without wasting any excess product. Most typically, Juvederm Volift Retouch aims to treat deep depressions in the skin due caused by aging. However, it is also used to improve facial contouring, correct asymmetry, and add volume. Plus, its lidocaine content offers heightened patient comfort, making for a painless procedure. Treatments with this dermal filler last from 15 to 60 minutes, depending on the affected area. What’s more, they provide instantly visible results, volumizing and plumping the skin to create a radiant, youthful effect. This is due to its hyaluronic acid content; this natural chemical can hold up to one thousand times its weight in water, offering hydration and volumization to the skin. Each package contains two 0.55mL syringes, four single-use 30G½” sterile needles, an instruction booklet, and a set of labels. This face filler should be stored between 2°C and 25°C. Juvederm Volift Retouch allows practitioners to refine and refresh the results of previous treatments with hyaluronic acid-based dermal fillers. What’s more, with its 0.55mL syringes, this injectable solution reduces the waste of excessive, unused filler. Most often, this versatile cosmetic filler is meant to correct medium and deep facial wrinkles, enhancing and reconstructing the face to create a youthful, voluminous look. However, it may also be used to plump the lips. 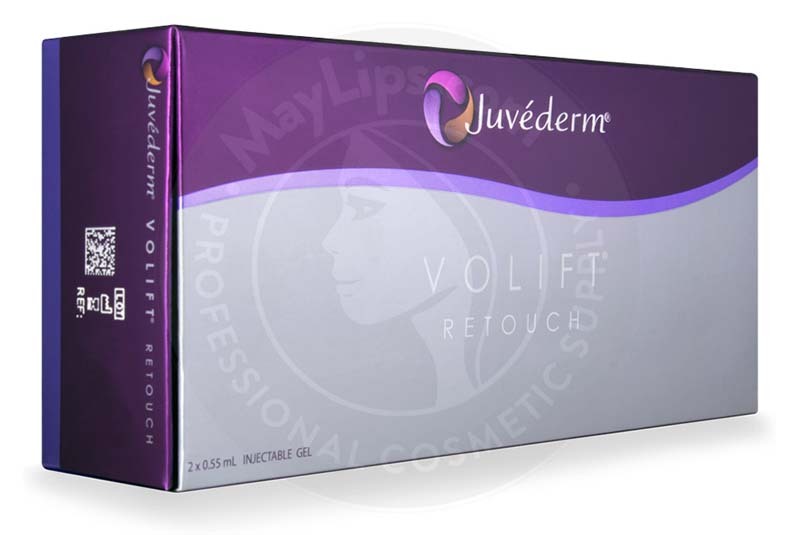 Like other products in the Juvederm family, Juvederm Volift Retouch contains Vycrosstechnology. This revolutionary gel formula consists of both high- and low-molecular-weight hyaluronic acid, working to improve the efficiency of hyaluronic acid chains. Vycrosstechnology features a formula of 90% low-molecular-weight hyaluronic acid and 10% high-molecular-weight hyaluronic acid. Because most fillers contain 100% high-molecular-weight hyaluronic acid, Juvederm’s unique composition ensures a smooth, natural looking injection that causes less pain to the patient. In order to reduce the potential occurrence of complications, Juvederm Volift Retouch should only be used by an authorized medical practitioner in accordance with all applicable regulations. Those administering this dermal filler must also have appropriate knowledge about the anatomy at and around the injection site, as well as appropriate training on injection techniques for filling skin depressions, face contouring, and volume restoration. Please note that Juvederm Volift Retouch should not be injected into the eyelids, under-eye area, or crow’s feet, the glabellar region, or the blood vessels. This may result in serious complications, including embolization, occlusion of the vessels, ischemia, or infarction. It is recommended that the supplied 30G ½” needle is used during this procedure. That being said, it is possible to use a 25G, 27G or 30G sterile cannula, with cannula length being determined by the user’s preferred injection technique. Prior to injection, the treated area must be thoroughly cleaned and disinfected. Any makeup products should be removed, and natural oils should be wiped away. Before inserting the needle, depress the plunger rod gently until the injectable solution begins to flow from the tip. Also, ensure that the area is aspirated to reduce the risk of injection into a blood vessel. Once the injection begins, do so slowly and with the least amount of pressure necessary. The degree and duration of this corrective procedure will depend on the character of the defect treated, the tissue stress at the implant site, the depth of the implant in the tissue, and the injection technique. What’s more, the amount of injected filler will fluctuate from patient to patient, depending on the areas that are to be corrected and the chosen injection technique. If immediate blanching occurs, stop the injection and massage the affected area until its normal color returns. Furthermore, it is important to massage the entirety of the treated area after the procedure, as this will ensure that the substance has been evenly distributed. After treatment, patients should avoid the application of makeup for up to 12 hours. Additionally, patients should avoid extreme temperatures for up to two weeks. However, this downtime may vary from patient to patient. The effects of Juvederm Volift Retouch have been found to last between 9 and 18 months. This being said, results may vary from patient to patient. Juvederm Volift Retouch has been extensively tested to ensure its safety. However, certain individuals should avoid the use of this product, including those with allergies to hyaluronic acid, a history of autoimmune disease, recurrent sore throats, rheumatic fever, epilepsy, and porphyria. Those with skin infections or inflammation, including acne and cold sores, should also steer clear of Juvederm Volift Retouch. What’s more, those who have recently undergone skin surface treatments, including laser treatment, skin peels, and dermabrasion, should not use fillers. 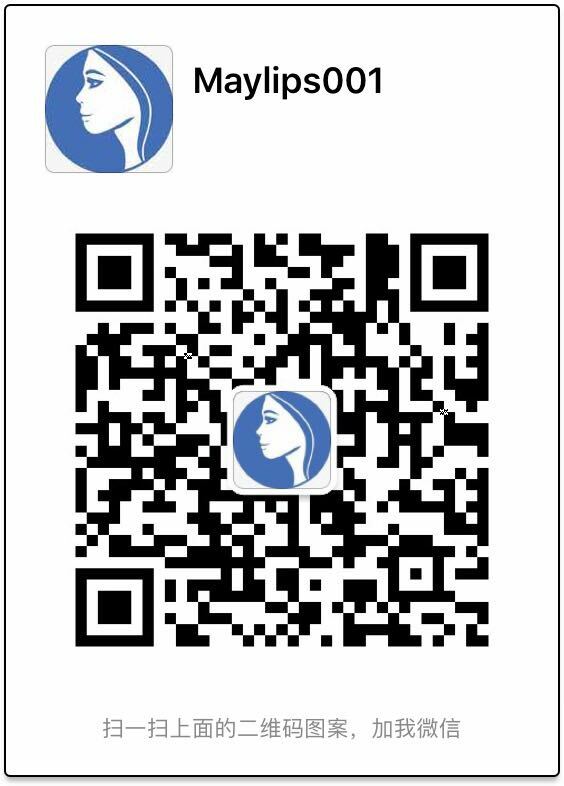 Those who are pregnant, breastfeeding, or under the age of 18 should not use this dermal filler. Juvederm Volift Retouch may induce minor reactions after the initial injection, including mild swelling and discomfort. However, these side effects usually resolve themselves up to one week after the procedure. 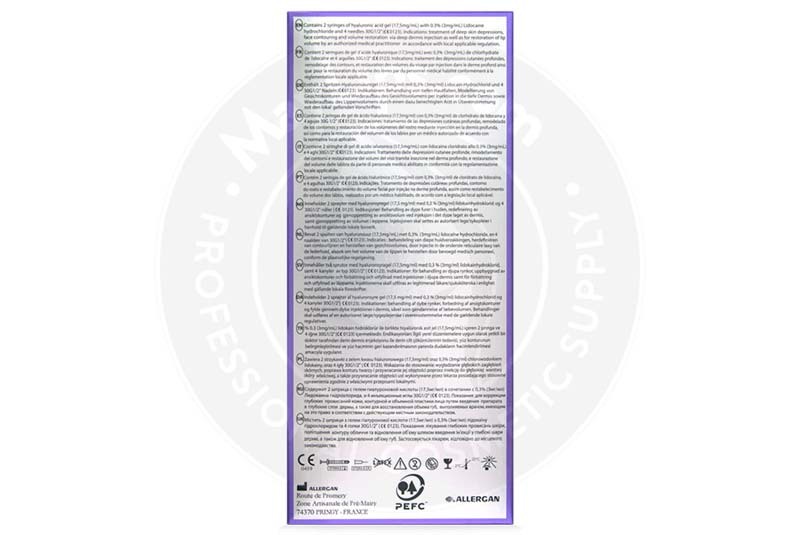 To see a complete list of side effects, refer to the product leaflet. Juvederm Volift Retouch contains hyaluronic acid, which is naturally produced in the body. Hyaluronic acid has an innate ability to bind and retain water molecules, making it a necessary component in the maintenance of hydrated, bright, and healthy skin. Unfortunately, as the skin ages, its hyaluronic acid content depletes. This causes loss of elasticity, smoothness, and volume in the face, creating sallow, wrinkled skin. By injecting hyaluronic acid back into the skin—such as that found in Juvederm Volift Retouch—it appears more plump, hydrated, and radiant. It also contains lidocaine, which is meant to improve overall patient comfort. This local anaesthetic is used to treat any minor discomfort associated with cosmetic procedures, working to decrease pain by temporarily numbing the injection site. 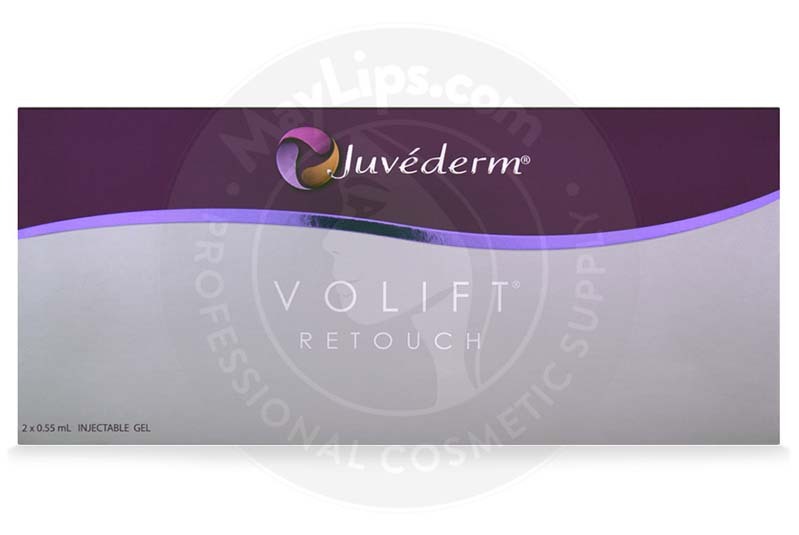 Name: JUVÉDERM® VOLIFT RETOUCH™ w/ Lidocaine. 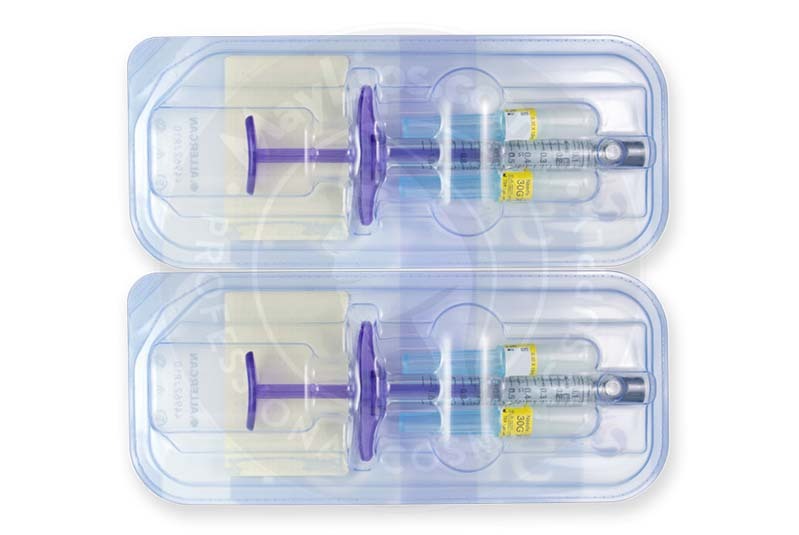 Packaging: 2x0.55 mL pre-filled syringes. Also Included: For each syringe, the box contains two sterile 30G1/2” needles. Package insert. A set of labels in order to ensure traceability. Storage: Store between 2℃ and 25℃. Fragile.